Do you have a favorite spot to read in the summer? Somewhere to curl up with a book? 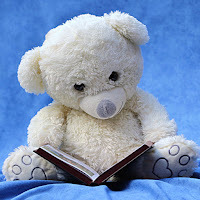 As a child, I loved hiding behind the couch with my stuffed animals, my cat and a book. Hidden away, I could get lost in a story for hours. I hope you can find some good books to share with your children this summer. Please remember that giving them choice is essential. Many thanks to all of my colleagues in Berkeley schools, especially Eric Silverberg, elementary teacher librarian. Eric helped update three of these lists and his contributions were immensely valuable. I love following your blog! Are you going to have summer reading for all elementary grades K-8 for 2018? Yes, I'm going to start working on them next week. They'll be ready by June 1st!